Aaron Kanzer is a lifelong resident of Barnstable. He graduated from Northeastern University with degrees in Political Science and Economics and was an appointed committee member of the Barnstable Housing Committee. Although Aaron was only 21 years old, he had ample experience prior to running for state representative, including positions at the Massachusetts Bay Transportation Authority, the Federal Reserve Bank of Boston, and at multiple civic engagement initiatives and grassroots political organizations. He also presented policy recommendations at institutions including the White House, the US Treasury Department, the US Department of Labor, the United Nations Offices in Geneva, Switzerland, and the Office of US Senator Elizabeth Warren. Aaron decided to run for the vacated seat in the 2nd Barnstable District in 2016. In the Democratic primary, Aaron defeated Margeaux Weber, an established lawyer and chairwoman of the Barnstable School Committee. He went on to face a tough challenge in the general election from Republican Will Crocker, a Barnstable town councilor. As a first-time, young candidate, Aaron faced an uphill battle just to get to the general election. He began his run without a management team and with no campaign infrastructure. That’s where the Blue Lab stepped in. Only Aaron and his father were on the ground in Barnstable, so the Blue Lab created an organized structure for the campaign, managed directly out of our office. 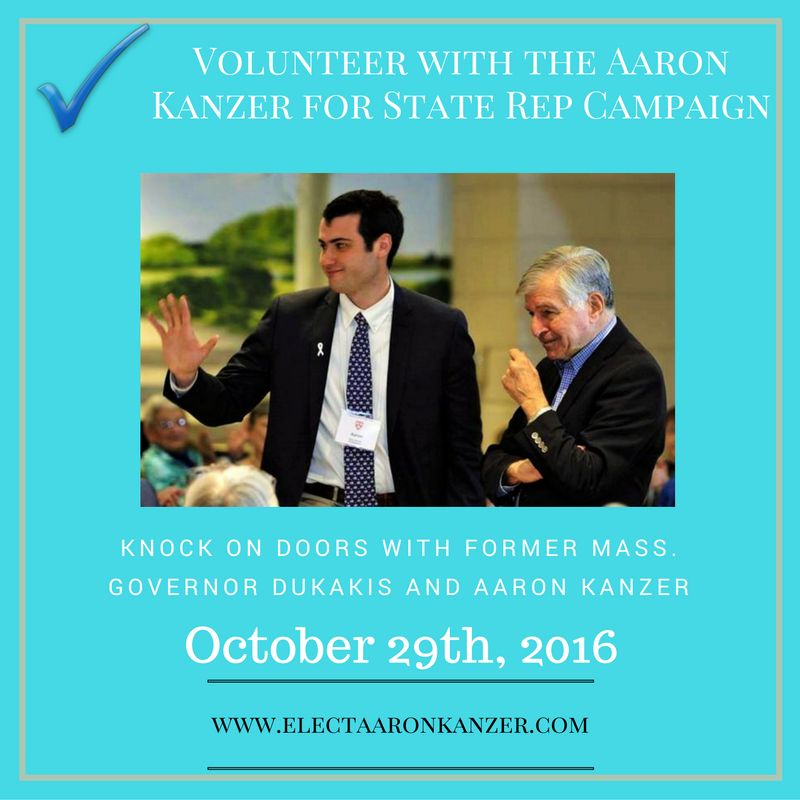 We helped Aaron plan and staff canvassing events on the Cape, including events with Senator Dan Wolfe, Representative Sarah Peake, and Governor Mike Dukakis. We supported Aaron at fundraisers and promoted his candidacy through press releases as well as social media accounts, which the Blue Lab managed throughout the campaign--all through phone or computer. The Blue Lab also developed a personal letter writing campaign with handwritten envelopes and personalized notes, and over the course of seven months, sent more than 5,000 letters to households across the district.